A May 2 StarBiz report quoted several associations and analysts who said they were seeing a slowdown of between 20% and 50% in business for retailers in the months after the GST. Faced with falling sales and high operating costs, some Malaysian companies are considering cutting staff either through retrenchment or voluntary separation schemes, said an employers’ federation. Malaysian Employers Federation executive director Datuk Shamsuddin Bardan said about 20% of its members were looking into such options and they cut across all economic sectors from retail to hospitality to manufacturing. These companies have approached the MEF for advice and the federation’s consultants were currently working with them on how to best cut costs and whether or not to lay off staff, said Shamsuddin. Companies were it finding harder to meet overheads because of lower demand and consumption, especially after the 6% goods and services tax (GST) was introduced in April, he said. “For some members, business is almost 30% down these past few months. So they are looking at either retrenchment or voluntary separation exercises,” Shamsuddin told The Malaysian Insider. FIRST RECORDED SUICIDE RELATED TO GST: JB SHOPKEEPER TAKES HIS OWN LIFE. Blame is a consumption tax? A 6 the grocery store proprietor unbearable tax issues, select hanging end to life. 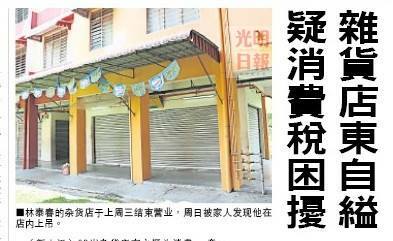 Johor Bahru’s grocery store proprietor Lin Taichun (transliteration), 68, was not so lucky, his Friday night for a consumption tax issue, hanged himself to death. He has revealed to the family does not know how to deal with a consumption tax, and worried officials banned, was upset by his family to persuade him out of business. China News: recently due to inability to meet the consumption tax will be the grocery store out of business proprietors, locked inside, hanging themselves! The company based in Seremban Forest Heights, was fined RM40,000 by the Session Court today for making unreasonably high profit through the sales of raw coconut milk. According to amended charge, Econsave Cash and Carry Sdn Bhd raised the price from RM3.50 to RM4.89 per 500 grammes on Apr 5 this year. Hell hath no fury as a customer who has to pay GST for two packets of Nasi Kandar. The incident happened yesterday at 1.30pm after an enraged customer in his late 30’s saw it fitting to punch the cashier of a restaurant in Jalan Padang Tembak, Air Hitam for charging him the 6% GST for two packets of Nasi Kandar he had bought. In a fit of anger he also berated the cashier with profanities before flinging the Nasi Kandar packets on the floor in protest, the Malaysian Digest reported. His crazy tirade didn’t end there when he and a friend decided to return to the restaurant ten minutes later brandishing parangs. Tearing into the restaurant, they smashed the glass covers of food warmers before taking off on their motorcycles. Is this the first GST-related suicide attempt? The complexity and costs of the new consumption tax has prompted several small businesses — some decades old — to close shop than attempt to grapple with the GST. KUALA LUMPUR, May 11 — Frustration over difficulties in implementing the Goods and Services Tax (GST) is believed to have driven a trader in Teluk Intan, Perak to attempt suicide yesterday. According to Chinese-language media, Tan Huo Ming had ingested poison yesterday after scaling a fence outside his home while holding fistfuls of cash. Huo Ming had reportedly complained to his family repeatedly that he could not cope with the bookkeeping made necessary by the GST. Huo Ming was initially conflicted on whether to continue or close his business. After being coaxed by his family, he agreed to shut down the business on the day, according to the report. His daughter said Huo Ming had been troubled since April 1, when the consumption tax came into effect. Bing: China exclusive: a old hardware store proprietor, more than a month to face tax problems this afternoon while his wife and daughter when preparing to take him to the restaurant to celebrate mother’s day, crept into the neighbouring homes, downing the whole bottle in front of old neighbors small bottles of insecticide suicide! The Sessions court in Shah Alam today acquitted a restaurant operator at Setia Alam of a charge under the Goods and Services Tax (GST) Act 2014. Judge Ahmad Azhari Abdul Hamid made the decision after the prosecution applied to withdraw the charge against Syarikat Bendang Afwa Enterprise, the operator of ‘Restoran Bendang’. Deputy public prosecution Hazril Harun told the court that the prosecution was instructed to withdraw the charge against the company, represented by Farah Jamiah Fikri, 35. The company’s lawyer Collin Arvind Andrew said no reasons were given for the withdrawal of the accusation. “My client was charged under Section 33(2)(b) of the GST Act 2014 for allegedly violating Section 22 of the GST Regulations 2014 by not displaying the required details in the tax invoice totalling RM21,” he said. 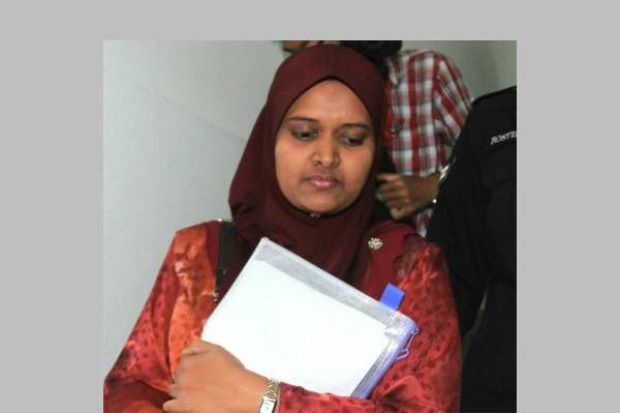 The Royal Malaysian Police had earlier failed to obtain a remand order from the court on Farah Jamiah’s husband, a lecturer, who was also present in court with her today. Price of vegetable rose from RM3.10 per kg on January 1 to RM9.70 from between January 3 to 20 at the Jaya Grocer premises in Bandar Baru Bangi. SHAH ALAM: Trendcell Sdn Bhd, which owns Jaya Grocer supermarket, has become the first company to be charged under the Price Control and Anti-Profiteering Act 2011 for selling lady’s fingers at an unreasonably high. Its director Ting Pooi Guan, 59, who represented the company, pleaded not guilty to the charge at a sessions court here. 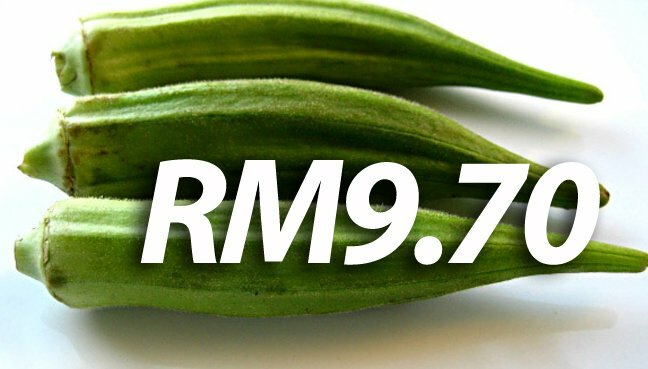 The company was said to have attempted to increase its profit margin by raising the price of lady’s fingers (okra) by RM6.60 per kilogram (from RM3.10 on Jan 1 to RM9.70 from Jan 3 to Jan 20). It was said to have committed the offence at Jaya Grocer’s premises at the Bangi Gateway Shopping Complex in Bandar Baru Bangi, between Jan 3 and Jan 20. 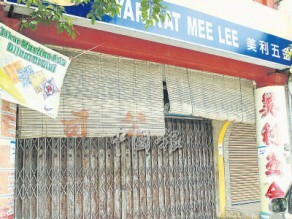 A shop in Serian had not registered for the GST but was selling its goods at an exorbitant price. It sild canned drinks at RM2.00 each when in fact it had obtained the item for RM1.10 each from the supplier. KUCHING: Five traders would be charged in court next week for allegedly using the goods and services tax (GST) as a pretext to increase their prices. Domestic Trade, Cooperatives and Consumerism Ministry (KPDNKK) secretary general Datuk Seri Alias Ahmad said the five cases were in Melaka, Penang and Federal Territory. “They were among seven completed investigation papers (IP) referred to the Attorney General’s Chambers. The traders would be charged under Section 21 of the price Control and Anti Profiteering Act 2011. “Another 34 IPs are almost completed for the A-G’s Chambers to decide whether the traders should be prosecuted or not,” he told reporters here today. PETALING JAYA, May 2 — One month in and price hikes by unscrupulous businesses that take advantage of the Goods and Services Tax (GST) continue to plague consumers. Fomca chief executive officer Datuk Paul Selvaraj said while initial concerns about GST were levelling out, the complaints now were about businesses that increased prices by more than six per cent. “The information we are getting from NCCC (National Consumer Complaints Centre) is on complaints regarding profiteering by these businesses,” he said. Selvaraj said there were businesses, primarily in smaller towns, that hiked prices and refused to give receipts. “They give the excuse that the price increase is because of GST. “The legitimacy of these businesses is in question. Are they eligible to impose GST? If they are, why are they increasing prices by more than six per cent?” he said. Selvaraj said consumers were becoming more aware of their rights and had begun asking for and checking their receipts. A SUPERMARKET IN BANGI AND A RESTAURANT IN SHAH ALAM HAVE THE DUBIOUS DISTINCTION OF BEING THE FIRST TO BE CHARGED FOR OFFENCES RELATED TO THE GST. SHAH ALAM, April 30 — A well-known supermarket will be the first premises to be charged under the Price Control and Anti-Profiteering Act 2011 for raising the price of lady’s fingers by more than 50 per cent four months ago. Domestic Trade, Cooperatives and Consumerism Ministry (KPDNKK) deputy director-general (Enforcement) Datuk Iskandar Halim Sulaiman said the supermarket located in Bangi would be charged under Section 14(1) of the act. He said the KPDNKK received complaints from the public on the increased price of the lady’s finger and it was revealed the supermarket had increased the price of the vegetable in January this year. The charge was made following a further inspection that revealed the price of the lady’s fingers had been increased from RM12 per kilogram (the fixed market price) to RM18.60 per kilogram, Iskandar said. “The owner of the supermarket will be charged on Tuesday next week for profiteering of RM6.60, higher than the margin set,” he told Bernama when contacted, here today. SHAH ALAM: A well-known supermarket will be the first premises to be charged under the Price Control and Anti-Profiteering Act 2011 for raising the price of ladies’ fingers (kacang bendi) by more than 50% four months ago. 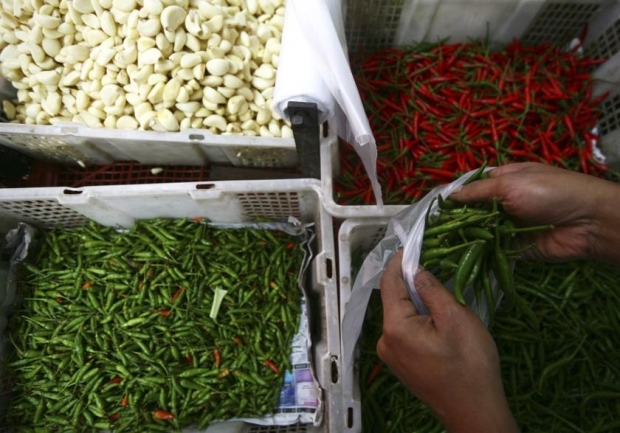 The charge was made following a further inspection that revealed the price of the lady’s finger had been increased from RM12 per kilogramme (the fixed market price) to RM18.60 per kilogramme, Iskandar said. 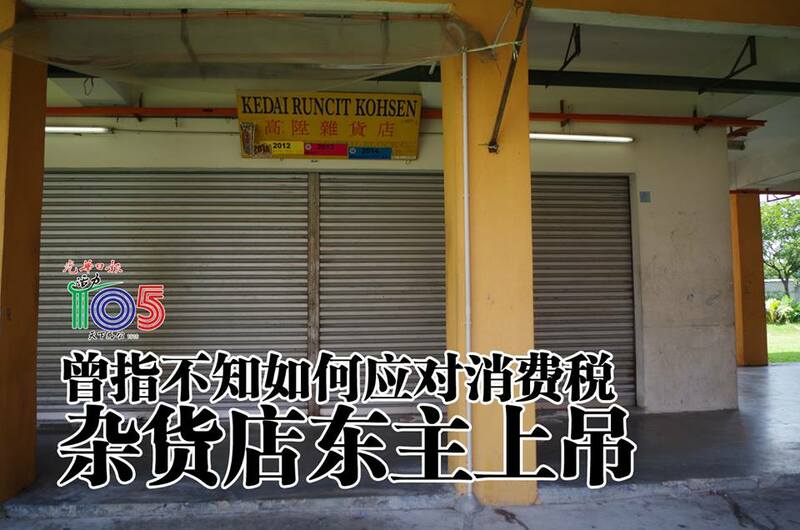 “The owner of the supermarket will be charged on Tuesday next week for profiteering of RM6.60, higher than the margin set,” he told Bernama when contacted. SHAH ALAM: A restaurant in Section 16 here is the first to be charged in court for an offence under the Goods and Services Tax (GST) 2014. Restoran Hameed’s Corner, which was represented by its owner Raja Bunesh Bagam Kamarudeen, 38, pleaded not guilty to five counts of issuing about 2,000 tax invoices which did not contain details stipulated under Section 22 of the GST Regulations 2014. The restaurant is alleged to have committed the offences at its premises at No.3-1-1, Suria Avenue Apartment 16/2, Section 16 here from April 7 to 11. Hameed’s Corner is being charged under Section 33 (2) (b) of the GST Act 2014 and punishable under Section 96 of the same Act which provides for a fine of not more than RM30,000 or a maximum jail term of two years or both, upon conviction. SHAH ALAM: Less than a month after the implementation of the goods and services tax (GST), a restaurant is the first in the nation to claim trial under the GST Act 2014 at the Sessions Court here. 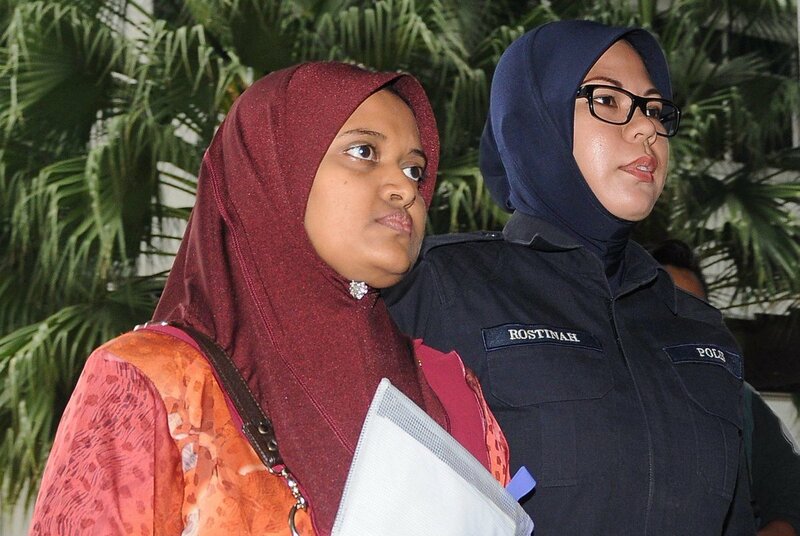 The owner, Raja Bunesh Bagam Kamarudeen, 38, was summoned and stood outside the witness dock to hear the five charges against her establishment, Restoran Hameeds Corner located in Seksyen 16, Petaling Jaya, on Thursday morning. The charge was for issuing about 2,000 invoices not containing details as required by Section 22 of the GST Act from April 7 to 11. Judge Ahmad Azhari Abdul Hamid set bail at RM15,000 with one surety and fixed May 25 for next mention. This entry was posted in Bangi supermarket charged forGST offences, GST, malaysia, Shah Alam restaurant charged for GST offences and tagged Bangi supermarket charged for GST related offences, Goods and Services Tax Malaysia, GST, Malaysia taxation, restaurant charged for GST related offences, Restoran Hameed's Corner. Bookmark the permalink.